A bulky suitcase full of optical and biomedical equipment made its way to South Yorkshire last week, accompanied by Dale Waterhouse, Joanna Brunker and Lina Hacker, from VISIONLab. 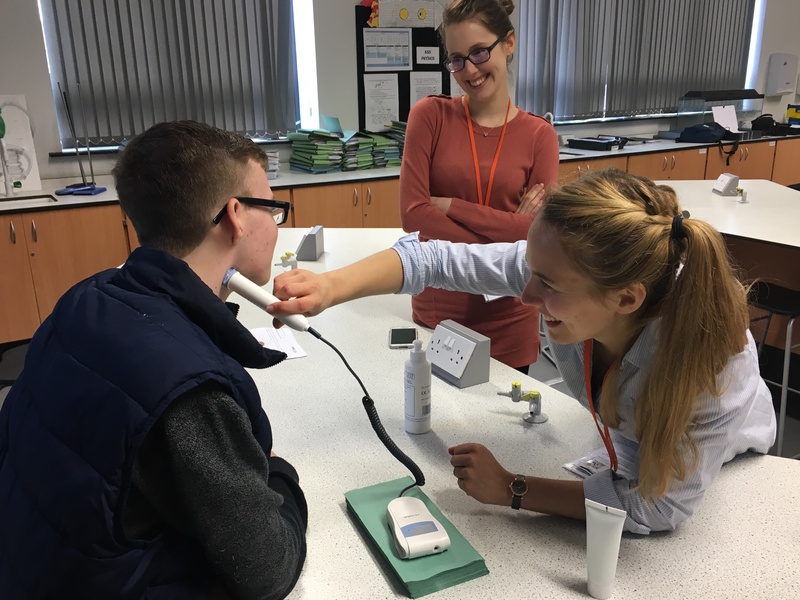 This equipment, kindly supported by an SPIE Education Outreach Grant, and put together by Dale and Joanna in the last 6 months, illustrates the use of light and sound in detecting cancer. 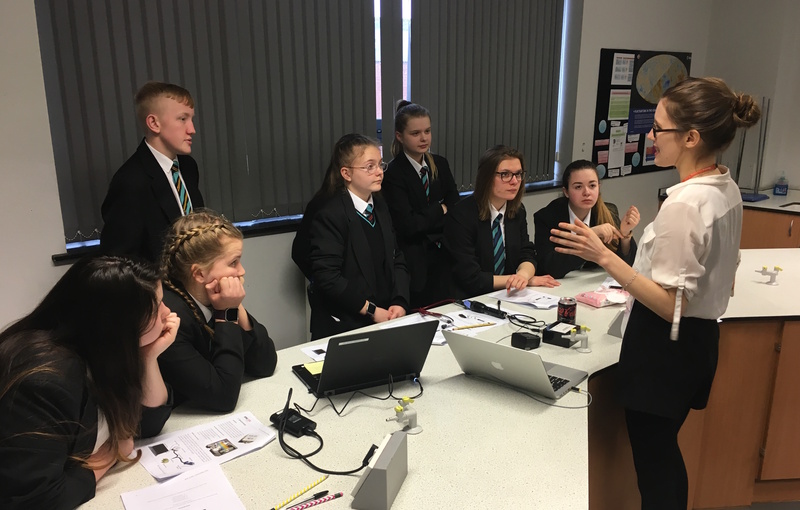 ‘The Colour and Sound of Cancer’, a one hour class built around four hands on demonstrations, was shared with seven classes of students at two schools, Maltby Academy, where Dale studied from 2003 – 2010, and Sir Thomas Wharton Academy in nearby Edlington. Through the four demonstrations the students learned how we can use light and sound to help us understand cancer. First, the students used spectrometers, devices that split light into a spectrum of many hundreds of different colours, to discover that individual constituents of living things have unique fingerprints, or ‘characteristic spectra’. Next, the students saw this principle put to the test using pulse oximeters, devices that clip onto the finger and shine red light into the fingertip, through to the other side, where the amount of light passing through, and the known spectral fingerprint of blood, is used to calculate the amount of oxygen in the blood. Unfortunately, red light can only penetrate a few centimetres into the body, so it isn’t very useful for imaging the deeper organs. To reach these deeper areas, we can use ultrasound. The students wasted no time in slapping on the ultrasound gel and taking to the task at hand; attempting to measure their pulse rate with an ultrasound probe designed for checking a baby’s heartbeat before birth. Some were successful. Others could not hear their pulse above the laughter of their classmates as they struggled to position the probe alongside the gel. Finally, we demonstrated the combination of light and sound in a device called a ‘photophone’. This device allows us to ‘listen’ to light! The students plugged their mobile phones into a specially designed torch. The light from this torch pulses with the music. Then, across the room, a stethoscope, the device doctors use to listen to our hearts, can be used to ‘listen’ to the light. Though this is tricky in a noisy classroom, the students determinedly took to the task, some managing to listen to their favourite music shone across the classroom on a light beam. 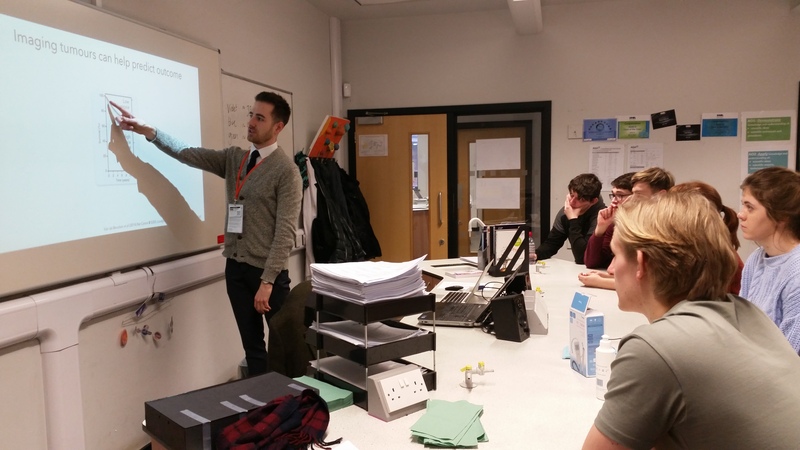 We wrapped up our classes with an update on the work we are doing in our labs in Cambridge, emphasising our use of the principles learned in science class at school. 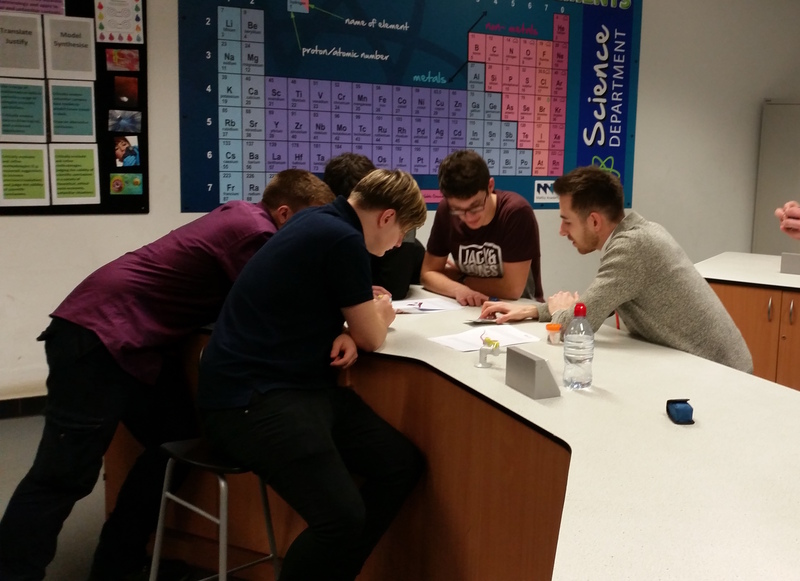 We tried to emphasise that while science in school may sometimes seem disconnected from the world, perhaps even a little dry, there are many applications of science in research, and that many of these are multidisciplinary, crossing the traditional boundaries between biology, chemistry and physics. 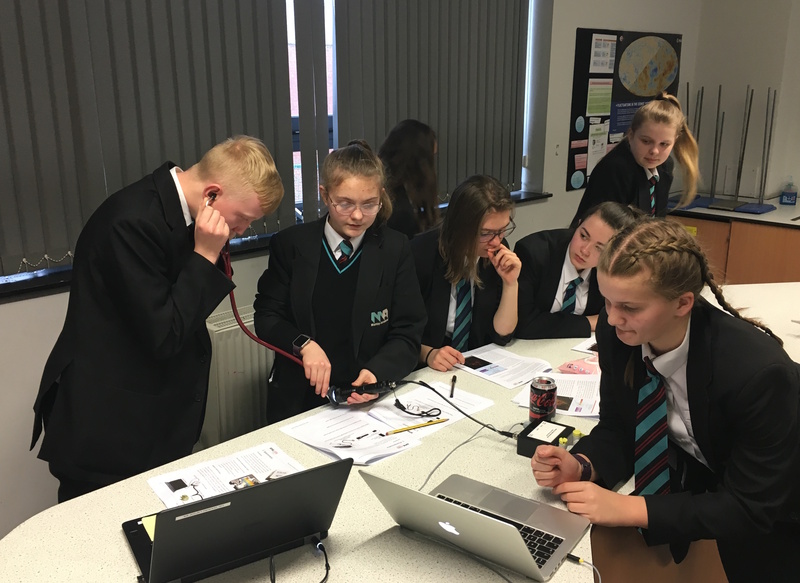 We would like to thank the staff and students of Maltby Academy and Sir Thomas Wharton Academy for being so welcoming, and the students in particular for showing so much enthusiasm for the demonstrations and for making our visit thoroughly entertaining. We hope to keep in touch in the future. This work was kindly supported by SPIE – the international society for optics and photonics, whom we thank for their contribution on behalf of all those involved.